Weber BBQs are so popular that many people use ‘Weber’ as a generic descriptor for barbeque grills. They offer a wide selection of grills, and here at Home Heat & BBQ, we supply the full range. If you’re unsure about the type you should select, here are a few guidelines. BBQs made by Weber have a heritage of more than 50 years, but they have advanced with the times so that you can get a grill anywhere within your price range. Webers start as low as $100 and can go all the way to $5,000 or more. It depends on what bells and whistles you have in mind. The difference in price is dictated by various factors. For example, you can select a pricier model based on size, colour option, additional features like inbuilt thermometers, foldable legs, or glass-reinforced handles. You can also get Webers that have shelves or counter space for greater functionality. Some Webers have a metallic finish while others have a stylish coloured coating. How often do you use your BBQ? If you require a cut of meat (or grilled veggies) every night, it helps to pick a unit that lights up quickly and is easy to clean. The Weber Q gas series are the best options to consider. They don’t need much space and can be lit in seconds thanks to their easy to start ignition buttons. If you’re more of a weekend griller, you can select something from the Charcoal series or the Smokey Mountain Cooker series. Both units are fuelled by charcoal briquettes, but smoker grills have a more extended cook time. Some people believe charcoal grills are messier than other grills, but Webers have ash catchers, drip trays, and one-touch cleaning to make things easier. Barbeque grills are versatile, and you can use them pretty much anywhere. But the type you select can be influenced by the space where you cook most often. For restaurants, commercial grillers, or al fresco kitchens, you could install an inbuilt unit for easy access and cooking volume. If you’re more of a camper, get a portable gas-powered Weber. Weber Qs are great for camping as well, because of their lightweight structure. However, they need electricity, so unless you have a portable generator, you can’t take them camping or picnicking. On the other hand, you can pick a wheeled Weber so that you can move it wherever you need to grill. How do you prefer your barbeque? Medium rare? Well done? Rich and smoky? Crispy or moist? You can make your selection based on these qualifications and more. Some Webers have intricate methods of heat control, while others are designed with crispers. Smokey Webers have water pans for extra moisture. They are manufactured to cook using smoke rather than heat, so it grills longer at lower temperatures, offering softer slices and more vibrant flavours. Gas Webers cook faster, but there’s a distinct difference in the colour and taste of the meat. Put all these factors together, get a little help from our sales team, and you’re sure to find a grill that makes you happy. 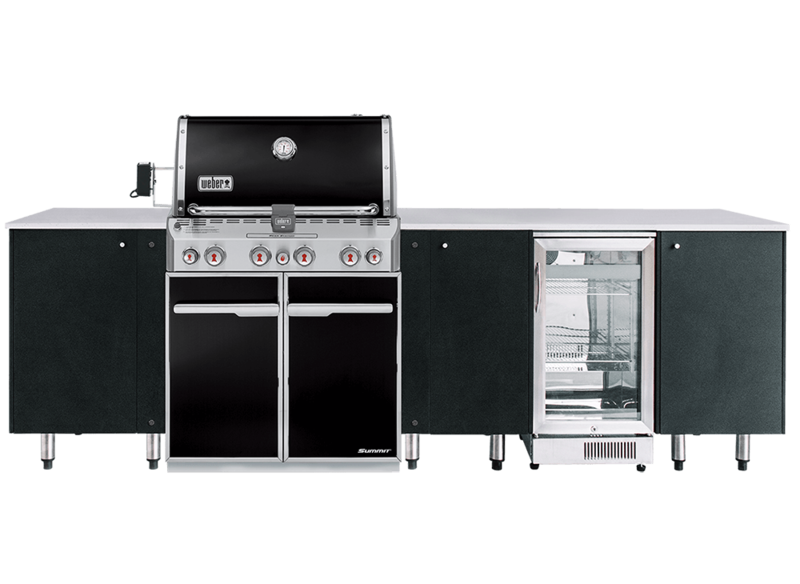 To explore our collection of barbeque grills, call Home Heating on 02 9838 1300 today.